Beach Lane Books, 9781481494724, 40pp. A celebration of flowers in poetry and photographic imagery. Sayre's latest feast for the eye and ear focuses on blooming plants, showing their emergence, their growth, their beauty, and their profusion in certain places and times, especially spring....The rhyme and rhythm of the text invite reading aloud; the pictures show well even across a room. This easy-to-grasp botany lesson is supplemented with backmatter offering older readers more information about the bloom boom and about each photograph. A charming introduction to flowering plants, this is an obvious addition to a nature-themed storytime that can also can be read alone by budding readers. Award-winning author and photo-illustrator Sayre here reveals the diversity and splendor of flowering plants....This title works onmultiple levels. The minimalist text, intriguing photos, and predictable refrain make this a perfect choice for preschool story hours. Likewise, the use of proper botanical terms...and generous appendixes...are ideal for primary science lessons. This bloom's a beauty. Vibrant, full-page photographs introduce young audiences to the beauty of an array of different flowers....The large format allows the images to shine and is perfect for group and lap reading. 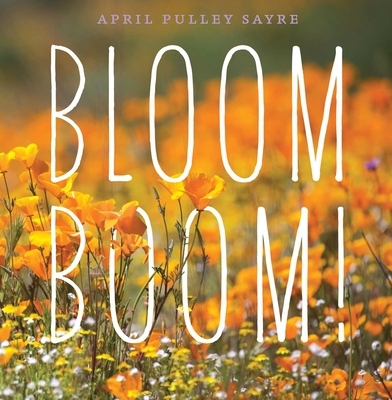 The repetition of “Bloom Boom” throughout also makes this ideal for read-alouds....A lovely, useful work to help acquaint children with the natural world, and an enriching selection for storytime.